WSET Educator of the Year 2017, Eno Cultura are tackling Brazil’s tough wine market head-on by bringing credible and inspiring education to the masses. Here, they share their view on the current climate from wine education in the region and the key values behind their success. What have been your greatest achievements that make you proud to win the WSET Educator of the Year 2017 award? We are overwhelmed by what we have achieved so far in terms of number of students, geographical spread in LATAM, pass rates and feedback from the students in our WSET courses. The macroeconomic background for the development of the Brazilian wine market is historically far from supportive, resulting in a very small wine per capita consumption. We also have some relevant constraints coming from “micro” elements, such as strong local competitors and a preference of Brazilian students for pure in-class learning, in contrast to courses like WSET’s, where home study is key to performance in exams. Spreading wine knowledge in this environment has been a big challenge for Eno Cultura, that’s why we are so proud of this award. What do you think are the key things that make Eno Cultura a great wine and spirits educator? From the moment Eno Cultura was created we have relentlessly followed our main mission, which is to help develop the wine industry through education. In our journey to achieve this, we stand by three key values: provide credible content, innovate and inspire. From the very beginning we have dedicated time to select and train professional educators with a high level of wine knowledge and teaching skills, and we currently have 20 tutors in our team, with the highest concentration of DipWSET holders in LATAM (seven in total). We use Design Thinking and Canvas to create accurate campaigns, we have created live streaming workshops and our media performance is quite dynamic. We have also always been involved in social projects to create opportunities and engage people. How important is certification and formalised learning in Brazil’s wine and spirits industry? In two words: extremely important. Even considering the very low per capita consumption by international standards, Brazil is a big country and the market is already sizeable, with huge growth potential. Although taxes and macroeconomic instability make the consumption of wines and spirits quite expensive, the portfolio of local importers is already very diverse. Therefore, we have an exigent consumer on the demand side, and on the supply side the importers are responding in terms of products, without the need of a huge effort in marketing their product. However, in order to develop a wider consumption market, formalised education of professionals in this market will be key. Without that, Brazil will never reach the threshold from a selective market to an inclusive one. 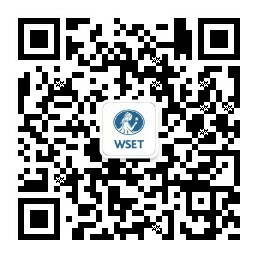 Demand for wine and spirits education in Brazil is rising, with an +18% increase in WSET candidates in the last academic year. What do you think is driving this growth? The figures are quite impressive, considering that Brazil has just been coming out of a big recession and it is still going through tough political and economic times. Such a rise in demand for education can be considered “organic”, i.e., it is reflecting the fact that Brazilians are increasingly in touch with international trends, and it is filling the huge gap in wine and spirits education in our country. Looking beyond, if some important barriers for the more inclusive market in Brazil are surpassed, there could be an acceleration in those rates. And our view on the macro background in Brazil is positive: it has been a slow – although bumpy – movement in the direction of stronger political, juridical and economic institutions. The next economic cycle will probably result in bigger trade openness, with direct positive consequences for the wine market. We are getting ready for this exciting new phase. ...in order to develop a wider consumption market, formalised education of professionals in this market will be key. Without that, Brazil will never reach the threshold from a selective market to an inclusive one. Following the launch of a two-year online Diploma programme for students in Brazil in 2015, the first three candidates have now successfully graduated. Is there demand for more Brazilian students to undertake this high level qualification? The three candidates who passed the exams are actually our tutors, and we are extremely proud of them! We certainly believe there is a sizeable demand for high level qualification. We have had very strong interest from students from all over Brazil, Chile and Argentina. What advice would you give to someone looking to develop their wine or spirits education, whether for a passion or career? Now seriously, I guess the very first thing is to understand that wine knowledge is a long, endless road. Do not try to rush through, take time to enjoy the journey. And, when enroling to a course or lecture, make sure you know who the tutors are and what their background is; we believe that to be as important as the methodology.